Foil Hat Racing, created in 2010, by Joe Heffernan, a man with a unique outlook and a deep passion for all motorsports. His passion for power sports spans decades including water craft, automotive and motorcycles, “if it’s got a motor and people are racing it I’m interested”, he says!. 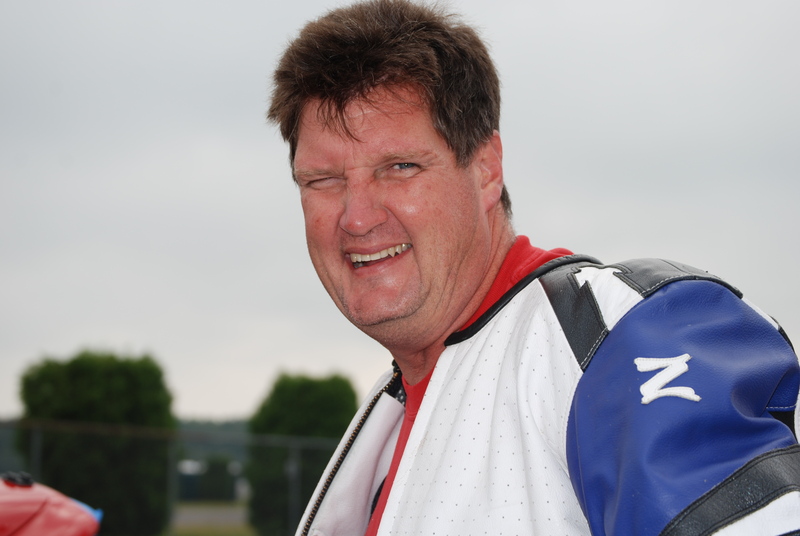 His passion for the motorcycle industry expanded in April of 2004 when he teamed up with his friend and riding buddy Chuck Jay to start what is now commonly known in the Southeast PA area as Bikes Built Better, The best independent motorcycle shop you’ll find. The motorcycle shop allowed the pursuit and enthusiasm for power sports to grow, track days and stay on top of the latest news and products available in the motorcycle industry. 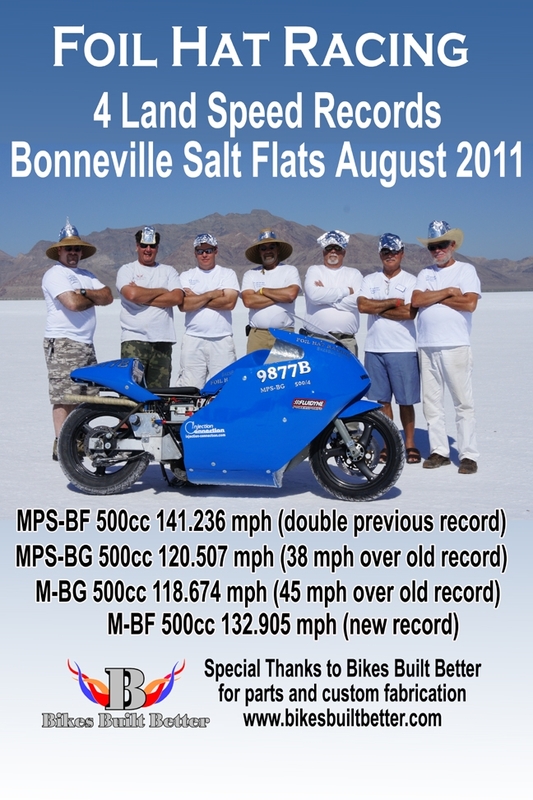 In a sluggish economy and having already gained national recognition for some unique projects, in the spring of 2010 the decision was made to build a speed bike and go to Bonneville and let it all out on the salt. This was the start of Foil Hat Racing and I’m sure not the last creation to come from Joe, Bikes Built Better, the staff, and connections with the power sports community in Eastern Pa. this was the start of Foil Hat Racing and I’m sure not the last creation to come from this energetic pair of enthusiasts.